Dr. Kate Brayman has extensive experience applying dental veneers that transform the appearance of your smile. Contact her practice, Kate Brayman DDS in New York City, to schedule a consultation and learn how veneers can hide chipped and discolored teeth, and make uneven teeth appear perfectly straight. Dental veneers are thin covers that are attached to the outside of teeth to hide imperfections. Veneers effectively restore the appearance of your smile by closing large gaps between teeth, hiding chipped teeth, and covering discolored enamel. They’re also used to “straighten” teeth without making a physical adjustment. 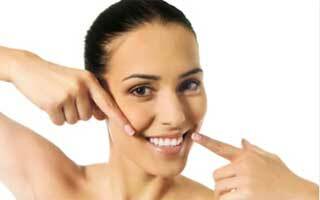 Instead, veneers cover the crooked and uneven teeth, making them appear naturally straight. Dr. Brayman may recommend veneers to replace worn down enamel, whether it’s caused by normal wear-and-tear or it has been eroded by acidic foods and drinks. After veneers are applied, the root is protected and the porcelain veneer makes teeth naturally stronger. It’s important for veneers to appear the way you envision and to fit properly. Dr. Brayman will work with you to choose the type and color of veneer. Then when the veneer is ready, you’ll be able to see how it looks before it’s permanently attached. Dental veneers can be made from composite resin, but porcelain is preferred for correcting color and shape. 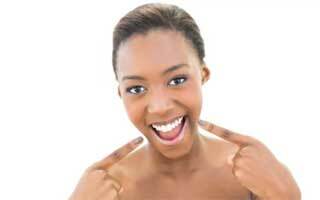 Porcelain veneers look more natural, resist stains better, and last longer compared to resins. After you’ve decided which type of veneer to use, Dr. Brayman will prep your teeth, then make an impression of your mouth and send it to the dental lab making the veneer. You’ll wear a temporary covering until the new veneer is ready. After making sure the new veneer fits, it will be cemented to the tooth. Porcelain veneers can last as long as 20 years, but they can chip or break if you bite down on something hard or they’re traumatized in an accident. Over time, your mouth can go through other changes that may affect veneers. For example, gum tissue may recede or the tooth under the veneer might move. When that happens, the veneers might need to be replaced. Treat veneers just like your natural teeth. Brush and floss regularly, and come in for regular dental checkups. Don’t ignore damages or changes in veneers because the underlying tooth is still vulnerable to decay should a cracked veneer allow bacteria to gain access to the tooth.